MEMBERS of the Parliamentary Portfolio Committee on Mines and Energy allegedly demanded $400 000 from a local businessman keen to mine coal at Hwange Colliery, The Herald can exclusively reveal. The attempt to “squeeze” James Ross Goddard of JRG Contracting (Pvt) Ltd reportedly occurred on November 15 last year at a time when efforts were underway to revive the coal mining concern. 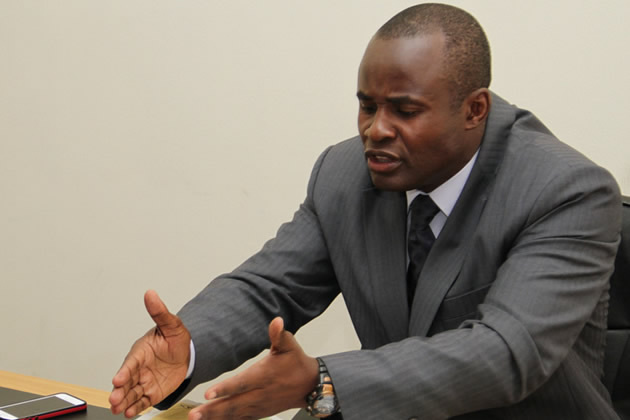 According to documents in The Herald’s possession, Norton legislator Mr Temba Mliswa — who chairs the committee — and four other legislators from the Mines and Energy Portfolio Committee demanded $400 000 from Mr Goddard as “facilitation fee” to enable the latter’s company secure a mining contract at Hwange. “On the 7th of September 2018, Mr Shepherd Tundiya approached us and advised that he has been seconded to Hwange Colliery by the Office of the President and Cabinet to resolve the problems affecting operations there. We advised him that we would be able to assist with mining at Hwange provided that a legitimate contract is in place and that there is a guarantee from the Government of Zimbabwe to adequately fund the mining,” narrated Mr Goddard in the documents. “On Thursday the 15th of November 2018, our Operations Director, Mr David Steyn, received several requests from Mr Shepherd Tundiya for Mr J. R. Goddard to urgently meet the Parliamentary Portfolio Committee on Mining on that very day, such that Mr Shepherd Tundiya actually drove from Harare to Shangani to express the urgency of this meeting to Mr J. R. Goddard. Mr J. R. Goddard, together with Mr David Steyn, then drove to Harare that evening and were met with Hon Temba Mliswa (MP Norton), Hon Anele Ndebele (MP Magwegwe), Hon Leonard Chikomba (MP Gokwe North) and Prince Sibanda (MP Binga North),” alleges Mr Goddard in the documents. He then narrates his ordeal. “After the meeting, Hon Temba Mliswa departed, together with Hon Anele Ndebele, who went to sit in his vehicle. Hon Chikomba and Hon Prince Sibanda then instructed Mr Shepherd Tundiya to demand a facilitation fee of $400 000 in order for J.bR. Goddard Contracting to secure the contract to mine at Hwange, which had to be paid the following day,” said Mr Goddard. The request was turned down by Mr Goddard. “The JRG team advised that they could not meet the demand and subsequently advised Mr Shepherd Tundiya that this demand for a facilitation fee goes against the principles that J.R. Goddard Contracting has been operating under since inception in 1982. Furthermore, this demand is a very serious challenge to his Excellency, President Emmerson Mnangagwa’s anti-corruption efforts,” said Mr Goddard. He said he was again summoned on November 21, 2018 by Mr Mliswa. “On Wednesday the 21st of November 2018, Mr J. R. Goddard was once again summoned to Harare by Hon Mliswa to discuss a very serious matter at 17.00hrs at our J.R Goddard Contracting Harare offices. This appointment was changed to 19.00hrs at the Ambassador Hotel and then 20.00hrs at Hon Mliswa’s Borrowdale home. Hon Temba Mliswa failed to make these three appointments and eventually met Mr J. R. Goddard at the Total Service Station in Borrowdale,” said Mr Goddard. Mr Mliswa allegedly made some demands. “Mr J. R. Goddard subsequently advised Hon Temba Mliswa that he is a passionate and loyal Zimbabwean who is committed to the reconstruction of our Zimbabwean economy and that proper and official processes must be followed and adhered to. He even showed Hon Temba Mliswa a letter he had received from His Excellency, President Dambudzo Mnangagwa, which clearly motivates all citizens of Zimbabwe to pull together and rebuild our Zimbabwean economy,” added Mr Goddard. Mr Goddard then alerted VP Mohadi and Commissioner-General Matanga. “Thank you for meeting me yesterday in your office and for listening to our great concerns regarding the attempted extortion against our company by the Honourable Temba Mliswa and members of the Parliamentary Portfolio Committee of Mines. We strongly believe that it is our national duty to bring this matter to your attention in support of our President, His Excellency Emmerson Dambudzo Mnangagwa’s thrust to fight corruption and to demonstrate that ‘Zimbabwe is truly open for business’,” wrote Mr Goddard to VP Mohadi on November 30, 2018. Mr Mliswa denied the allegations last night. “As chairman I meet all sorts of people, others who offer bribes, others who don’t and so forth. What is important is, did I receive the bribe or not? And I hear people and give them the right direction that is what you must understand. That is how it is and it is up to you to then prove that you gave me a bribe. That is what it important. I must meet people who want to talk to me. You meet them, they say a lot of things. It does not stop you from meeting people. Whether I received a bribe or not. If I received a bribe prove it. That is my answer,” said Mr Mliswa. Efforts to get a comment from other committee members were fruitless.